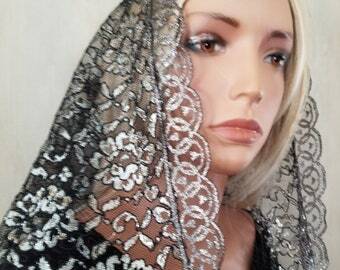 A magnificently elegant veil for Sunday Mass or mourning. Palm leaf motif with gold threads calls to mind Our Lord's Passion. Exceptional gold and black lace trim make this veil an instant heirloom. Soft but with substance. Drapes perfectly. The classic triangle style measures 48" Wide by 25" Deep. You will love wearing this veil to Sunday Mass. 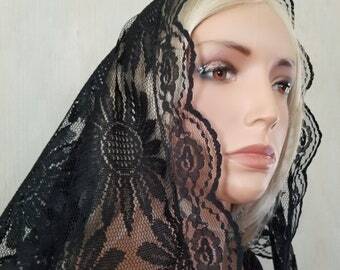 A mantilla to pass down to your daughters. Fit with our exclusive Invisi-Loop which allows you to secure the veil to your hair without fear of damaging the lace. 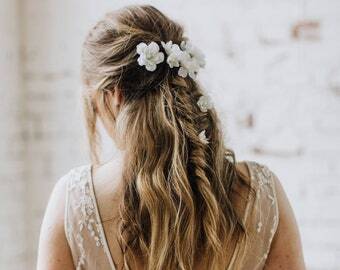 Or you may choose hidden bridal loops with a detachable comb. 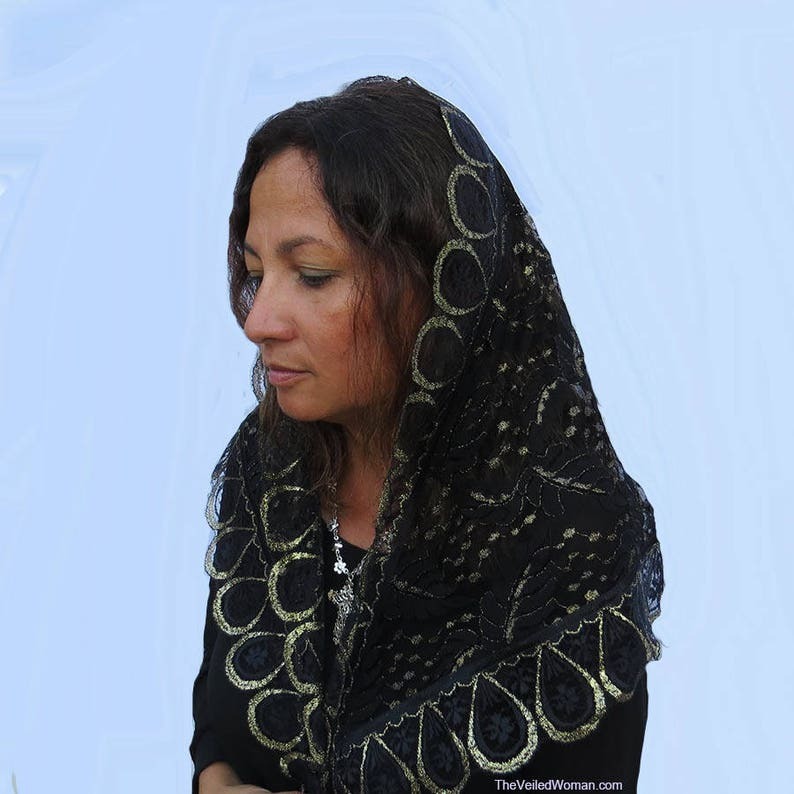 Veiled Woman line of exquisite mantillas and chapel veils is handmade one by one in the USA.